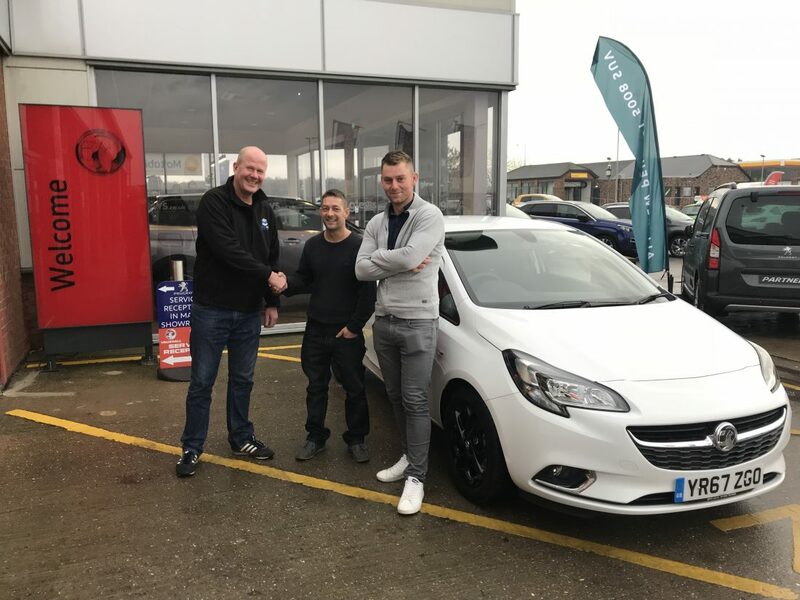 Steven Banks the Level Best Concrete Flooring Supervisor in the middle of the photograph receives his new van from Jon Wilcox and Like Morrow the two directors of the Concrete flooring contractors based in Goole, East Yorkshire. Steven comments “ this new van will allow me to spend more time on site to liaise with our customers once the concrete flooring operatives have left site”. “ We have a large floor in Northamptonshire to renovate and polish starting shortly and so my time is going to be spent travelling to there and also the numerous new concrete floor slabs we are laying throughout the country as well”. Best of luck Steve and here’s to many safe and happy miles motoring around the UK carrying out concrete flooring contracts from all at Level Best Concrete Flooring, one of the fastest growing industrial Concrete flooring contractors in England.